From Ice Cream Parlour to Fusion Headquarters: The future offices of the Indian Domestic Agency. 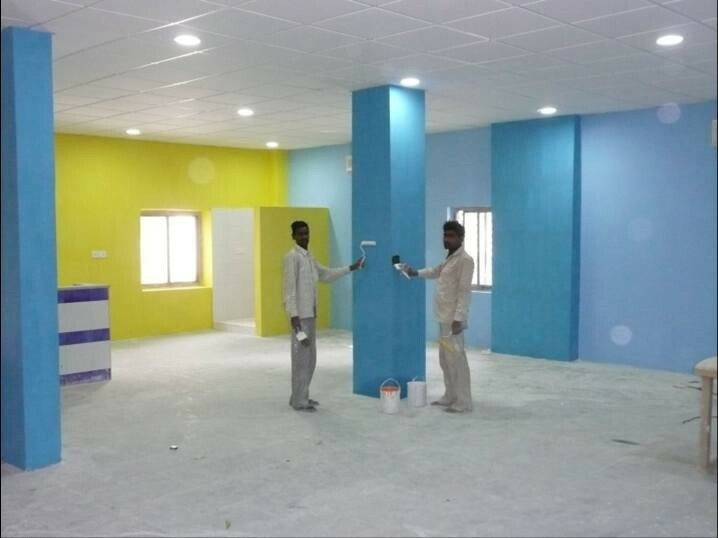 This month, ITER-India personnel are in the process of moving to their new office which is housed in a rented building about 20 kilometers from the present location at the Institute for Plasma Research (IPR). The new office used to house the office and workshop of a now-bankrupt ice cream company called Dairy Den! This building will house the ITER-India personnel offices, while the ITER R&D labs of ITER-India will be in a new (yet to be constructed) lab within the IPR premises, as it will be using the existing facilities of cryogenics, power etc at IPR. The Lab will be ready in Sepember 2010. ITER-India had the second Empowered Board meeting on 14 March, 2008, in which the new rules and regulations of the organization as well as 70 new positions (17 in Administration/Finance/Services and 53 Engineers/Technicians) were approved. ITER India will then have a total staff of 120, of which 31 have already joined from IPR, with 19 more to be transferred along with the new positions.